The College of Business (authorized July 1, 1972) provides an outstanding management education to a diverse student body which includes those from historically disadvantaged backgrounds. The College produces ethical, technologically advanced, diverse global leaders who provide creative business-centered solutions that promote economic and social advancement. The College of Business delivers its academic programs through four departments–Accounting; Economics, Finance, & General Business; Entrepreneurship & Small Business Management; and Management & Marketing. The College offers the Bachelor of Business Administration with seven concentrations, two masters programs–Master of Business Administration and Master of Professional Accountancy, and the PhD in Business Administration with majors in Accounting, Economics, and Management. Minors in Business Administration, Finance, and Marketing are offered to non-business majors. Student success is augmented through services of the Center for Academic and Professional Success (CAPS), which oversees the delivery of the College’s Professional Development curriculum, coordinates the College’s Internship programs, and advises student organizations. CAPS also houses the Career Services Office. The Center for External Relations coordinates sponsored research, executive education, and advancement/development activities of the College, while the Small Business Development Center (SBDC) offers business counseling to existing and prospective small businesses. The Center for Research in Economic Education and Literacy in Finance (CREELF) provides an academic resource for public and private schools, K-12 teachers and students, and adult learners in the Urban Central Mississippi area. The College houses a state-of-the-art Trading Room. The College of Business is accredited by the Association for Advancement of Collegiate Schools of Business (AACSB). AACSB accreditation differentiates business and accounting programs from those at other institutions in terms of quality, rigor, and relevance. Only six percent of business schools worldwide are accredited by AACSB International. The College is also accredited by the Network of International Business Schools, an association of business schools from around the world which believe that the internationalization of business and the globalization of the economy are essential elements in the evolution of managerial practices. 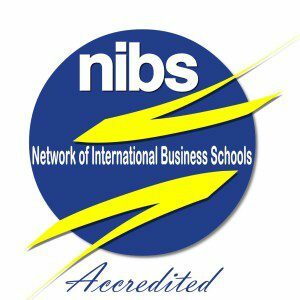 NIBS Accreditation makes a firm statement of an institution’s international vision to students, faculty and partner schools throughout the world. In addition to 40 full-time faculty members, the college has frequent visitors and lecturers from business, government, and nonprofit organizations who share their insight and experience. 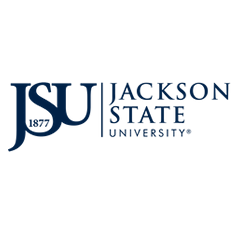 Students have regular opportunities to interact with academics, top researchers, executives, and managers from businesses and industries in the Jackson Metropolitan area and around the nation.